Zinc is not only a critical factor in bone formation, it is also involved in the production of enzymes that recycle worn-out portions of bone protein and for the healing of injured bones. Zinc deficiency reduces the number of osteoblasts, the cells that form bone.There is a significant correlation between the amount of zinc in bones and their strength, and osteoporosis is associated with low zinc levels. Because many of these symptoms are also associated with other medical conditions, a visit to a qualified medical practitioner is required to determine whether or not an individual is zinc-deficient. Advanced Age – The need for zinc supplementation is higher among the elderly. Alcoholism – Up to half of all heavy drinkers have low zinc levels in their bodies. Certain Diseases – Zinc can be depleted by digestive disorders (i.e., Crohn’s disease, ulcerative colitis) and a variety of other diseases, ranging from diabetes to sickle cell disease. Crash Dieting – Eating very little significantly increases the risk of zinc deficiency. Medications – Medications that have a diuretic effect, antibiotics, and oral contraceptives may reduce the body’s level of zinc. Pregnancy and Lactation – Pregnancy and breastfeeding increase the body’s demand for zinc, and infants over 6 months of age who are breastfed exclusively may also suffer from low zinc levels. Vegetarianism – The zinc in non-meat sources is not as bioavailable, meaning that the body cannot absorb and use as much of it; vegetarians may require up to 50% more zinc than the recommended dietary allowance. Stress can also deplete zinc levels. While this will not necessarily cause a severe deficiency, it can bring zinc down to a sub-optimal level. There are a variety of zinc supplements available, and research conducted to date has not determined whether there are differences in bioavailability that would make one type of supplement superior to another. Zinc is also available in lozenges and nasal sprays for those suffering from colds, though research regarding zinc’s ability to treat the common cold has yielded mixed results. The use of nasal sprays and gels containing zinc has been associated with loss of smell, in some cases permanently. These problems have not occurred with zinc lozenges. Calcium, copper, iron, and zinc may all compete with one another for absorption. Because of these interactions, those who take high-dose calcium supplements may also require a zinc supplement, and many zinc supplements also contain a small amount of copper. As for iron, while the smaller amounts present in foods are not a significant concern, the larger amounts in supplements may seriously interfere with zinc absorption, so iron and zinc supplements should not be taken at the same time. If taking zinc supplements, pair them with meals that are not based on grains, legumes, or brown rice. These foods contain phytates, which bind to zinc and reduce its absorption. 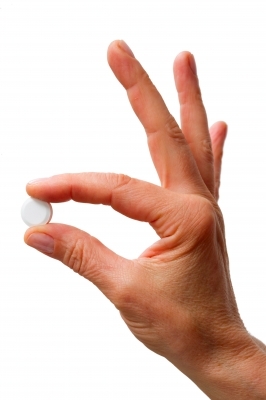 Zinc supplements may also inhibit antibiotic absorption and vice versa. This effect can be minimized by taking antibiotics 2 or more hours prior to or 4-6 hours after zinc supplements. Overdosing on zinc can cause stomach cramps, nausea, vomiting, diarrhea, and headaches. Regularly taking doses of zinc that are too high can actually reduce HDL (good) cholesterol and overall immune function, as well as contributing to a variety of other health problems. Adverse effects are associated with long-term daily zinc consumption at levels higher than the established tolerable upper intake level (40 mg for those 19 years of age and older, 34 mg for those aged 14-18, and less for children). The best natural sources of zinc are meat, poultry, and shellfish such as oysters and crabs. While a number of non-animal sources such as grains and legumes are also high in zinc, these foods contain phytates, which reduce the bioavailability (absorption) of zinc. *Farmed salmon is lower in zinc. Before cooking, soak grains, seeds, and beans in water for several hours and then let them sit until sprouts form to reduce phytate binding. Purchase or cook leavened grain products (breads), rather than unleavened products such as crackers, as leavening reduces phytate content. Use dry heat cooking methods (roasting, grilling, etc.) rather than moist heat methods such as boiling whenever possible, as a small amount of zinc may leach out into the liquid (this is not a problem if the liquid will be consumed, as with soups and stews). Avoid prepackaged snack foods, as processing depletes zinc content – fresh foods are always a better source of vitamins and minerals than processed products. Avoid refined products, such as white flour and white rice, as the majority of the nutrients are lost in the refining process. If using calcium or iron supplements, avoid taking them with foods rich in zinc, as the two minerals will compete for absorption. George Mateljan Foundation. (2009). “Zinc.” The World’s Healthiest Foods, WHFoods.com. Graci, Sam; DeMarco, Carolyn, Dr.; & Rao, Leticia, Dr. (2006). The Bone-Building Solution. Mississauga, ON: John Wiley & Sons. Hyun, Taisun H.; Barrett-Connor, Elizabeth; & Milne, David B. (2004). “Zinc Intakes and Plasma Concentrations in Men with Osteoporosis: The Rancho Bernardo Study.” American Journal of Clinical Nutrition, 80(3): 715-721. Kohlstadt, Ingrid. (2006). Scientific Evidence for Musculoskeletal, Bariatric, and Sports Nutrition. Taylor & Boca Raton, FL: Francis Group LLC. National Institutes of Health – Office of Dietary Supplements. (20 September 2011). “Zinc.” Dietary-Supplements.Info.NIH.gov. United States Department of Agriculture – Agricultural Research Service Nutrient Data Laboratory. UPMC – University of Pittsburgh. (2009). “Zinc.” NutritionServices.UPMC.com. Windley, Steve, MD. (2008). “Dietary Supplement Fact Sheet: Zinc.” PureHealthMD.com.